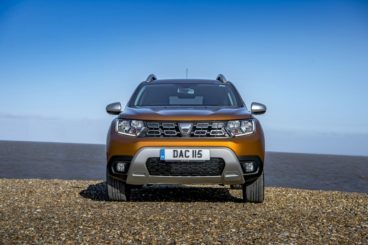 The new Dacia Duster Diesel Estate has been described as the “best value SUV on the market” and it’s hard to argue with that statement when you consider how affordable it is. Prices start out from less than £10,000, and for that you get a comfortable, spacious car that’s also practical and even a little bit fun to drive. Despite its low asking price, it’s still going to take a leap of faith from some buyers to make a purchase. After all, is the Dacia too cheap and too basic? Join OSV as we take a closer look at what it’s all about in our review of the 2018 Dacia Duster Diesel Estate. Romanian brand Dacia has come a long way since its conception. Read more about the company in our piece about Dacia’s history. This is a big, rugged car that’s never going to offer sporty handling, and the way it drives has its fair share of pros and cons. On the plus side of things, its soft suspension setup equals good ride quality. On the other hand, it also means that body lean is rather pronounced, especially on weaving country roads. You will definitely notice a sway if you drive with too much enthusiasm and it can undermine your confidence. The steering is a tad too vague for our liking, and it’s hard to know what’s going on exactly. That said, the Dacia works as a comfortable cruiser and isn’t really meant for kicks. It comes with a fairly accurate and easy-to-use 6-speed manual gearbox that calms down once you’re up and running on the motorway. Before then, it feels a bit notchy. A 6-speed EDC automatic transmission is available as an optional extra. It’s responsive and smooth, but it’s also sometimes guilty of holding onto gears longer than anyone would like. In terms of the engines, there are a couple of petrols available but only one diesel. This is a 109bhp unit that’s more or less just as powerful as the petrols but a bit faster. This is because more of its power comes from lower speeds, with the upshot being that you won’t be working it as hard. It’s loud when on the move and you’ll notice vibrations. Other than that, its performance is good and it completes the 0-62 dash in 11.8 seconds if you stick to two-wheel-drive and 12.4 seconds if you specify four-wheel-drive. At normal speeds, it feels perfectly fine and overtaking with it should be a cinch. The Dacia looks pretty good on the outside – even quite striking – but once inside you’ll soon realise where the money has been saved to make this car so cheap. It’s as basic as basic does. All the models use the same fixtures and fittings – which means that the costliest Dacia Duster gets low-grade materials, too – but the entry-level variant is the most spartan in terms of kit. However, we think buyers who are looking at this car will be perfectly okay with that. The surfaces are robust, solid and durable, and while the cabin is hardly aesthetically pleasing, it looks as though it’s been built to last. This isn’t the most cosseted car around, and for that, you’ll need to look elsewhere. But on the other hand, ride quality is good and the seats are comfortable. 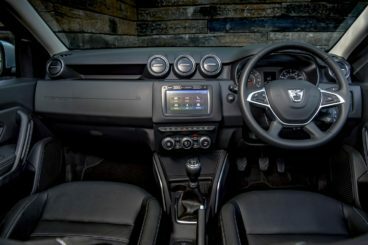 Moreover, while design never has been a forte of Dacia’s, the dashboard is well laid out, and like the cabin on the whole, it’s very user-friendly. The dials are nicely positioned and easy to read and use. It’s a shame that the entry-level model misses out on a height adjustable driver’s seat, while its steering wheel only adjusts up and down, but apart from that, there are few complaints once you accept that this is a basic car. Is the Dacia Duster Diesel Estate practical? It really is. An elevated driver’s seat and large, square windows mean that visibility is awesome, while passenger space – both upfront and in the back – is perfectly fine. There are lots of cubbies dotted around the place, including a big glovebox, while the boot measures 469-litres. This makes it a lot bigger than the more expensive Ford Focus, and once you’ve folded the rear seats space increases to 1,101-litres. As you’ve probably guessed, the Dacia isn’t exactly stuffed with standard kit, and indeed its sparse kit is one of the reasons why it’s so cheap to buy. The entry-level Access model isn’t even available with the diesel engine or a stereo or air conditioning. The Air model can be paired up with the diesel, and it also comes with 16” alloys, body coloured front and rear bumpers, a height adjustable driver’s seat, Bluetooth and a digital radio. The Nav+ model rounds things off with a leather steering wheel, upgraded upholstery, an economy computer, adjustable mirrors, electric heated windows and rear parking sensors. In terms of how safe the car is, the Duster was awarded a disappointing 3/5 when it was crash tested by Euro NCAP. It’s been re-tested since but was again awarded 3/5, although it’s worth pointing out that the standards have become stricter over the years. Still, the Duster doesn’t come with anywhere near as much standard safety kit as rivals and this could be a deal breaker for some buyers. Read our honest and unbiased assessment on the reliability of Dacia cars here. In terms of its running costs, the sole diesel engine is the most frugal in the range. It returns 64.2mpg economy and emits as little as 115g/km of CO2. If you specify four-wheel-drive, those numbers change to 60.1mpg and 123g/km. If you stick to two-wheel-drive but pair the engine up with the automatic ‘box, the numbers change again, this time to 62.8mpg and 116g/km. The Duster Diesel costs £140 a year in road tax. All diesel models in their many variations return over 60mpg. It’s hardly going to inspire you, but at this price point it’s very hard to argue with how satisfying the Duster is to drive. Yes, a Dacia is actually stylish – very stylish, in fact, and we think buyers will appreciate its aggressive looks. If anything is going to prove a deal breaker, it could be the entry-level model’s super simple cabin. It looks like a tough cookie, but a safety score of 3/5 will be a concern for some buyers. Let’s see how the car fares against its rivals in the comparison section of our 2018 Dacia Duster Diesel Estate review. 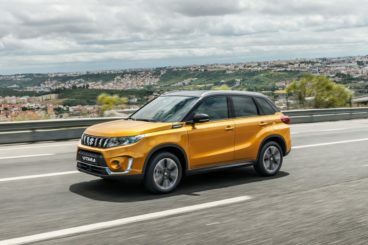 The Suzuki Vitara Diesel Estate has been around for years and continues to impress, with Suzuki tweaking an already winning formula. On the road, the Vitara is super easy to drive and doesn’t feel like work at all. Its steering is light (though it also feels a tad artificial) and it holds the road well. It’s a fairly hefty car, however, so body lean is pronounced in bends and it takes longer to change direction than a smaller car. Without a diesel engine in sight, buyers can choose between two petrol engines. The 1.6-litre unit does without a turbocharger and develops a modest 118bhp. This is the one we’d overlook if you’re planning to take your new car out of the towns and cities fairly frequently – and especially if you’ll be ascending hills often. It runs out of puff quickly on a full load and is much more suited to urban settings than motorways. The 1.4-litre petrol engine benefits from a turbocharger, develops 138bhp, has a 0-62 time of 10.2 seconds and feels livelier and more responsive. It’s four-wheel-drive only but this doesn’t have a dampening effect on running costs. In fact, the 1.4-litre engine is more efficient than the four-wheel-drive 1.6-litre engine and can return 52.3mpg economy. When fitted with four-wheel-drive, the 1.6-litre engine can manage returns of 50.4mpg and 53.3mpg if you stick to two-wheel-drive. Inside, the Vitara is hit and miss. There are certainly some lovely touches inside here, including soft-touch materials on the door handles and a neat plastic panel across the dash, but most of the plastics are scratchy and hard. Comfort is good, as is insulation, while the logically arranged dashboard is a plus. Is the Suzuki Vitara Diesel Estate practical? The doors are super light and easy to open, which is great for access, while the raised driver’s seat means visibility is good. Moreover, all models come with a height adjustable driver’s seat, which isn’t something we can say about the Dacia. Headroom is good for all, but rear legroom is a bit tight. There are plenty of storage spaces here and there (although buyers will wish the glovebox was bigger) and the boot measures almost 380-litres. Fold the rear seats and you can extend it to 1,160-litres. It seems odd to name a car after a year but the new Peugeot 2008 Diesel Estate is very much a vehicle for 2018. Its top-notch cabin is roomy, its engines are economical and its ride is comfortable. Unlike the Dacia and the Vitara, the Peugeot is strictly two-wheel-drive across the range. However, the brand has added Grip Control to some models to give it some off-road credentials. Peugeot wanted to make the new 2008 more fun, and to this end, they’ve introduced a smaller steering wheel. The car is now more agile but its steering twitches on the motorway. Body lean is well-resisted. In terms of the engines, a 1.6-litre diesel is the sole diesel offering. It’s available in 3 separate power guises, with a 74bhp variant sitting at the bottom of the range and a 118bhp sitting at the top. A 98bhp version sits in the middle and it’s our top pick. That said, the 118bhp variant is well worth checking out if your budget stretches far enough; it covers the 0-62 dash in 9.6 seconds, makes for an excellent cruiser and returns over 70mpg. Both the other diesels can manage 76.3mpg economy. Inside, the 2008 sports a neat interior that’s smartly designed, comfortable and kitted out with more high-quality materials than the Dacia. Soft-touch materials on the dashboard look great, while gloss-black details and ambient lighting give it a terrific sense of occasion. 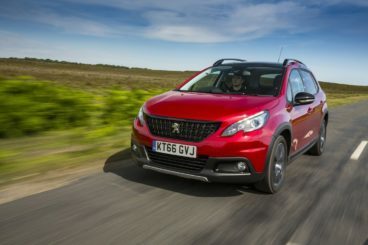 Is the Peugeot 2008 Diesel Estate practical? Door pillars and a thick windscreen hinder visibility somewhat, but the raised driver’s seat means it isn’t too bad. It’s worth mentioning that this is a smaller car than it first looks. That said, despite its compact dimensions, Peugeot have packaged it well and head and legroom is satisfactory for all. Cabin spaces, however, are less than satisfactory. The glovebox is small, while front cup holders are too fiddly to be of much use. The boot measures a respectable 410-litres and can be extended to 1,400 by folding the rear seats. It might be a budget car, but the Duster is the creme de la creme of the budget world. For less than 10 grand, you can pick up a stylish, confident, spacious, usable and frugal large family car. However, it’s all about priorities and buyers will have to take into account its lack of image, basic cabin and poor safety rating. At this price, though? The Dacia Duster Diesel Estate is worth at least a test drive.